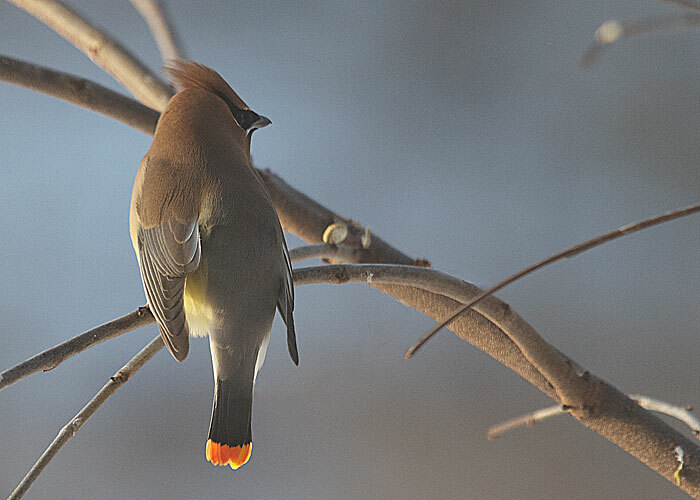 A single cedar waxwing sat this morning and flared its tail as if to show it off. And there was really something to show, as this cedar bird's tail was bordered not with the usual cedar-waxwing yellow but with bright orange. The orange is thought to be caused by what the bird eats. Yellow, red, and orange feathers usually are caused by chemicals called carotenoids, which is the stuff that makes carrots carrot colored. Why this particular cedar waxwing chows down on more carotenoids than the other cedar waxwings in the flock, now that is a mystery. Here's another view of the tail, with it folded, so that the orange is even stronger. 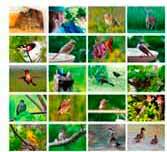 Birding By Ear CD teaches how to know birds by their sounds. 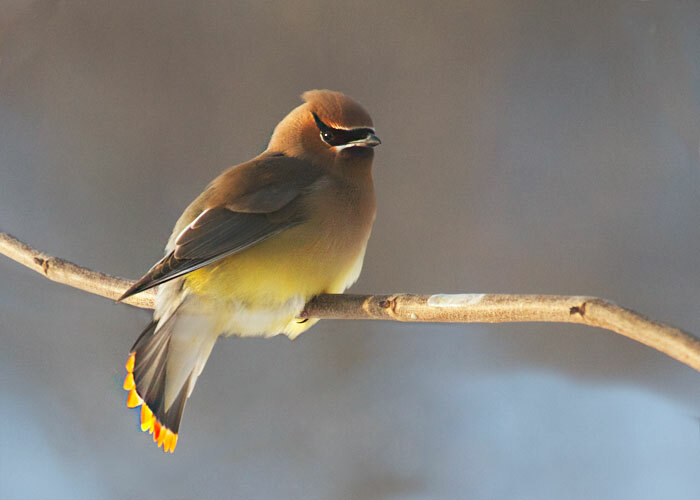 If you recognize the cedar waxwing's high, thin, lisp, you'll be alerted to the birds' presence even before you see them.